In the Spring of 2013 the members of the KNAER Data visualization project “The Use of Data Visualization Techniques to Share and Apply Toronto District School Board Research Findings” collaborated with the Association of Educational Researchers of Ontario (AERO) in a Special Interest Group (SIG) session titled “Seeing what is before us: The use of data visualization” at the Ted Rogers School of Management. The work and resources developed by this KNAER Project and workshop will continue to be supported through DUG. 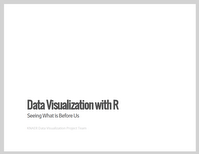 This section will feature tutorials, tips and tricks for mapping in R as well as with Quantum GIS. Mapping in R works through a variety of packages developed specifically for R. Quantum GIS is an open source desktop solution that functions in much the same was as ESRI’s ArcMap software. 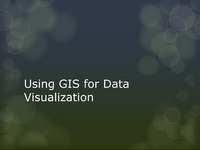 You can download Quantum GIS (QGIS) here. ggmap is a package that works with ggplot2 to leverage google maps and overlay shape files.